Armored farmer, ilgac, chicharrones and 3 others like this. A Swedish Lahti that has seen Danish Police service based on the markings. Shimitup, Speedo66, Jessesky and 9 others like this. The M51 is odd for its hesitation lock action and unusual due to being somewhat rare. The Dryse is certainly odd looking, though conventional blowback in operation. The Savage auto was odd looking AND in terms of its rotating barrel lock, unusual in its day for having a double-stack magazine. The Astra is odd looking and unusual for being a large and powerful blowback. Shimitup, ilgac, FL-NC and 6 others like this. Ok, I do not know how to post pictures, and I am too old to learn how, so see if this link works as a picture for the Boberg. I bought one of the very earliest of Bobergs, primarily for the novelty of it. Liked it so much, I bought a second. What makes the gun so special is it's bullpup design, which allows for a longer barrel in a smaller package. What makes it unique is the "backward" loading of cartridges (nose first) and an action that pulls rounds out of the mag rather than pushing them from the mag. For its size, the gun is the most accurate I own. Incredible. And as a carry gun, perfect. My problem is that I shoot my guns, especially my carry guns, a lot. And the Boberg "bites" my finger and it gets uncomfortable with a lot of shooting. So it sits in my safe. theotherwaldo, NIGHTLORD40K, Michael Tinker Pearce and 1 other person like this. Mine would have to be my favorite handgun of all of mine, the "Mossad" Tanfoglio 9mm. Every time I take it to the range, someone sees the Star Of David on it and wants to shoot it. They are always impressed with it when they do, it's a great shooter. Shimitup, ilgac, bannockburn and 5 others like this. hemiram - I have one that looks just like yours but has "Cohai" stamped on the side. I believe that means it was used in a military affiliated shooting club. Mine is extremely accurate. Doubtless yours is, too. The Tanfoglio CZ75 copies are very nice pistols, IMHO. Shimitup, NIGHTLORD40K and Michael Tinker Pearce like this. Re: the Boberg. I handled a couple of these at the NRA show in Houston. They were novel then, and easy to see that although odd, they would prove to be good shooters over time. I especially appreciated the low bore axis. My contribution is a Japanese Type 26 revolver. It was a huge advance forward in Japanese firearms design but, compared to what The rest of the world was doing at the time, still outclassed. The pistol used a unique 9mm cartridge that has never appeared in any other Japanese small arm and was pretty anemic compared to its contemporaries. Double action only, the gun has a very heavy trigger pull. The gun itself also had a serious design flaw in that the cylinder spun freely in the frame until the trigger began to be pulled. This meant that the cylinder could possibly rotate out of position and the user could pull a trigger on an empty cylinder at a most inopportune time. 1976B.L.Johns., bannockburn, chicharrones and 3 others like this. I will submit the Lone Eagle in .44 mag. Not completely unusual but still quite fun. Reminds me a little of a Garand when it pops the brass out of the rolling breech. Shimitup, ilgac, Boarhunter and 6 others like this. About the most unusual handgun I ever had was an Astra 600. Kind of strange looking and I never really enjoyed shooting it as it was a straight blowback 9mm.! Most people find them objectionable (or quirky at best), but I dunno, I like mine. Spanish troops nicknamed it "The Pipe Wrench." Lol. "Most unusual/oddball handgun" implies rarity or perhaps a historical mistake. 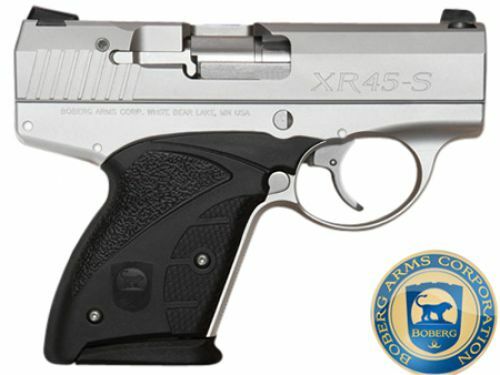 I'm not sure the Boberg qualifies, it is an engineering marvel that is currently produced under the Bond Bullpup label. Mine was an early pre-order run that Arne Boberg offered. Biggest regret is that I didn't get one in 45ACP when they were first offered. ilgac, bannockburn, NIGHTLORD40K and 2 others like this. I’ll say my short barrel Walther P1 . theotherwaldo, ilgac, Enfielder and 5 others like this. Is that essentially a licensed CZ-75 design? I am sorry, Rembrandt; I just thought the Boberg was my most unusual/oddball handgun, but if it does not qualify, I withdraw it from further discussion. Again, my apologies for getting off-topic. Oh wait. It says " Iver Johnson's Arms & Cycle Works" on the barrel. Pat.Nov.17 on the bottom of the grip. Armored farmer, theotherwaldo, ilgac and 3 others like this. Oops, Serial Number of the above Iver Johnson is 20115. I think it is 38 special. A 5 shot for sure. That would be .38 S&W- shorter than .38 Special. Power-wise closer to .380 than .38 Special. The above mentioned Iver Johnson is available to anyone who wants it. That means FREE!. I'll even pay the ride. theotherwaldo, ilgac and Michael Tinker Pearce like this. Boarhunter, no need to apologize....maybe we can find some pigs practice on with our Bobergs. After all, they are rated for +P ammo. NIGHTLORD40K and Boarhunter like this. I tried to PM but could not for some reason. Please advise. I did at one time have a CZ 52 that was converted in Czechoslovakia to 9x19mm. Was arsenal stamped 9x19, but Century stamped it 7.62Tokarev. Was a total fluke, as I ordered a standard CZ52. Somebody offered me far more money than I thought it was worth, so I parted with it some 6 years ago. Have tried to look these up, and could find zero information on them. NIGHTLORD40K and Michael Tinker Pearce like this. If it doesn't work out with falmike I'd like it, thanks. Also unable to start a conversation (PM). My most oddball pistol is a Remington 221 Fireball, see it even has "Ball" in the name. NIGHTLORD40K, Michael Tinker Pearce and falmike like this.